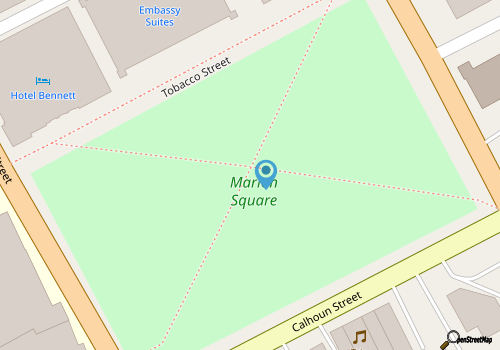 For Charleston locals and frequent visitors, Marion Square is much more than just a pretty block of green space in between Meeting Street and King Street. Like many of Charleston's attractions, beneath the surface lies a history of stories that date back to the colonial era, and transform this pretty park into a verified national landmark. Today the space is best known for its seasonal farmer's market and gorgeous open vistas of some of the city's prestigious surrounding buildings, but the site actually has a legacy all its own, which continues to fascinate new visitors, and ensures this park's rightful place on the list of fascinating Charleston attractions. 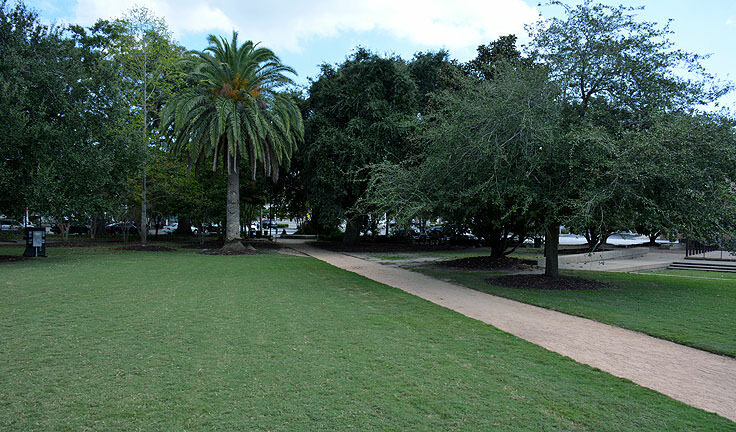 Marion Square originated as a city-owned rectangular plot of land that was conveyed to the colony of South Carolina in 1758. Originally, this site was used as a defensive wall against the local Native Americans, but by the late 1700s, the defense was no longer needed, and the approximately 10 acre property was effectively transferred to the newly created Charleston city government. A portion of the site was designated as a tobacco inspection complex - an important purpose considering South Carolina's large role in America's most successful colonial product - but eventually was converted to a parade and muster ground for the state arsenal. By 1843, it had become famously known as Citadel Green as The Citadel college, which was located nearby, occupied this arsenal from the 1840s until 1922, when the school itself was relocated to Charleston's west side. After the Citadel's move, the name of the public site was changed to Marion Square, in honor of Revolutionary War officer Francis Marion, and the ownership of the property was transferred to the Washington Light Infantry and the Sumter Guards. 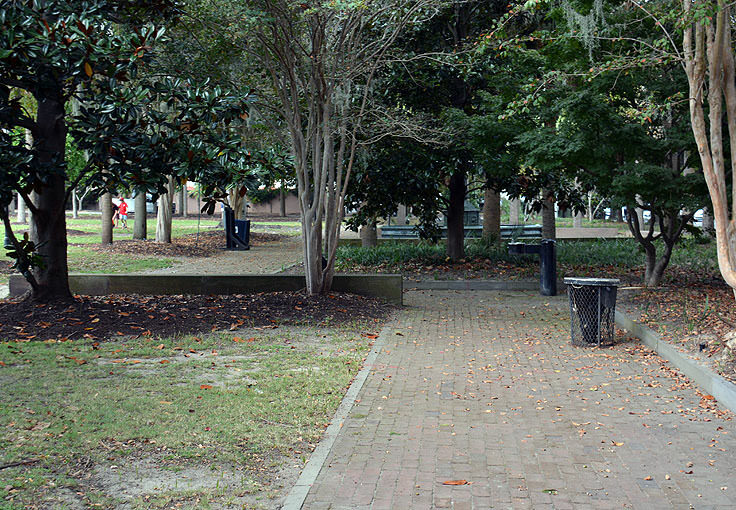 Though this transfer is seemingly irrelevant in the site's legacy, considering that Marion Square is a public park with no military maneuvers to speak of, this role is actually a formidable one in the park's history, as it was the Washington Light Infantry and the Sumter Guards that prevented the park from being transformed into a parking lot in the 1940s, and later as a shopping center in the latter half of the 20th century. 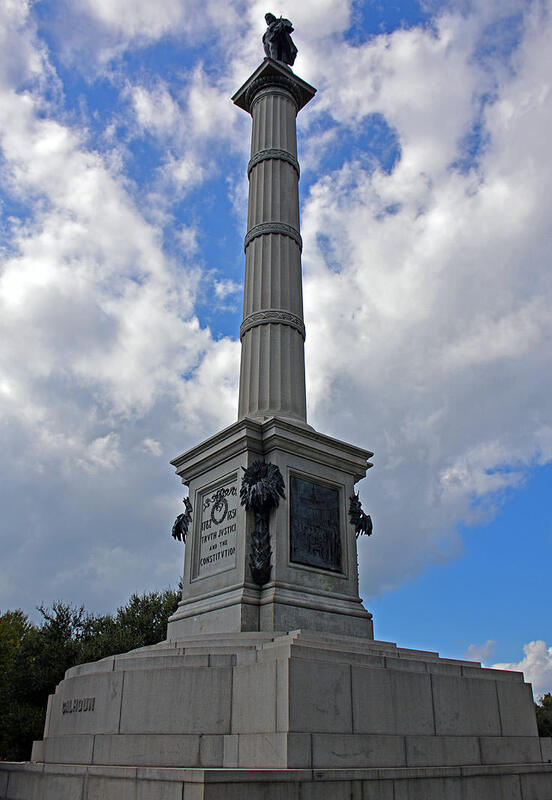 Instead, the park currently serves as a pretty resting spot for passing visitors and strollers, as well as permanent home for some of Charleston's most distinguished local monuments, including a renowned Holocaust Memorial, and a statue of South Carolina native John C. Calhoun. Calhoun was a Secretary of War, U.S. Senator, and an American Vice President, and the cornerstone of the statue, which was laid in 1858 before construction was interrupted by the onset of the Civil War, contained a cannon ball used in the Revolutionary War battle of Fort Moultrie, a lock of Calhoun's hair, and a copy of the last speech he ever delivered in the U.S. Senate, on March 4, 1850. 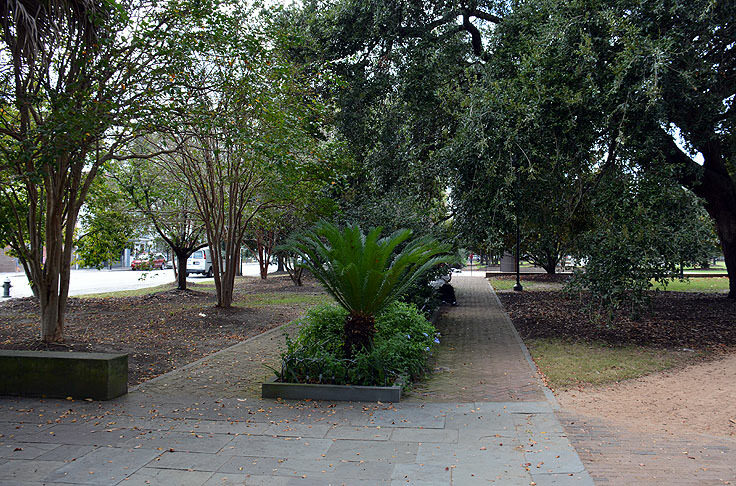 Marion Square also features a public bandstand, added in 1944, which is seasonally used for outdoor scheduled concerts and impromptu performances by local musicians. Today, the square is best known as a popular sun-bathing locale for neighboring College of Charleston students, as well as the home to the seasonal Charleston Farmer's Market which is held at Marion Square every year, generally from April until the end of November. The market also has special holiday hours in December in addition to sporadic hours during regional festivals, like the Piccolo Spoleto Festival in June. Otherwise, late spring, summer and fall visitors can stroll into the market every Saturday, rain or shine, from 8:00 a.m. until 2:00 p.m. to peruse and sample an ocean of locally fresh and homegrown wares. The farmer's market features a healthy collection of regional farmers and growers, scores of local food vendors that serve up fresh eats on the largest outdoor dining patio in all of Charleston, and artisans that boast an eclectic collection of handcrafted finds that can't be found anywhere else in the city. A popular spot for avid shoppers and anyone who loves fresh produce, the Marion Square farmer's market is well-known as the place to go for veggies and fruits, homemade jams and jellies, local meats, jewelry, and vintage pieces that serve as incredible and treasured Charleston souvenirs. Visitors are encouraged to visit Marion Square during any time of the year to soak up the rich history that spans from the colonial era to the site's most famous days as training grounds for The Citadel, or simply enjoy a quiet stroll among some of the buildings and structures that serve as a sample of Charleston's over 1,400 local historic sites. With a seasonal farmer's market that entices any local or visitor's taste for fresh eats, and an easy-going reputation as the relaxing go-to destination for Charleston College students in need of an outdoor study break, Marion Square clearly continues its longstanding reputation as an essential part of the Charleston community.